Combining methods are highly effective for implementing concurrent queues and stacks. These data structures induce a heavy competition on one or two contention points. However, it was not known whether combining methods could be made effective for parallel scalable data structures that do not have a small number of contention points. 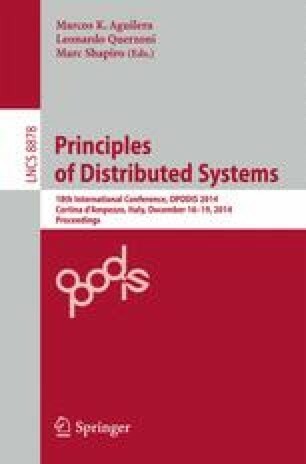 In this paper, we introduce local combining on-demand, a new combining method for highly parallel data structures. The main idea is to apply combining locally for resources on which threads contend. We demonstrate the use of local combining on-demand on the common linked-list data structure. Measurements show that the obtained linked-list induces a low overhead when contention is low and outperforms other known implementations by up to 40% when contention is high. This work was supported by the Israeli Science Foundation grant No. 275/14.